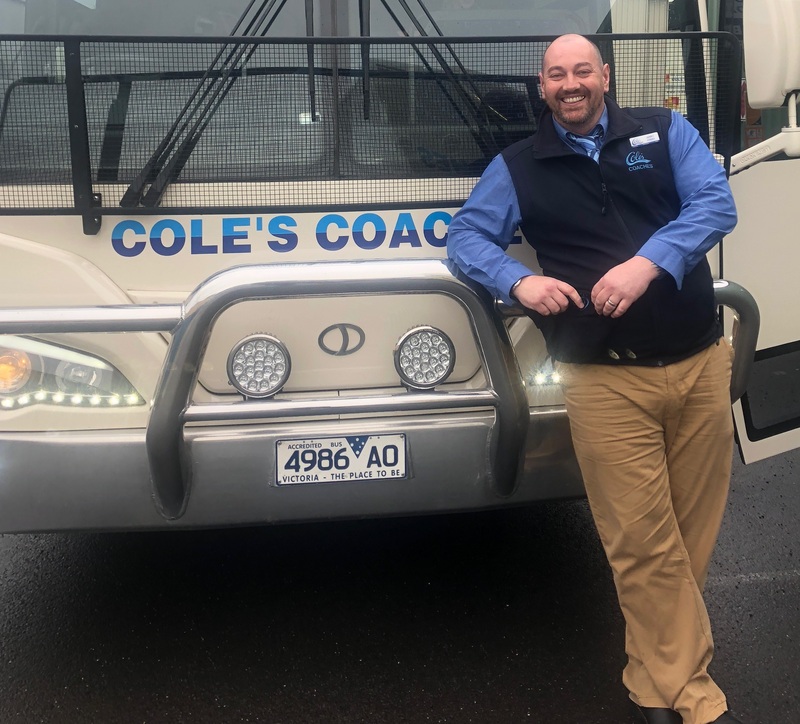 Our bus drivers are brilliant and not only get you from A to B safely, but also provide excellent customer service that makes you want to travel with them, and Cole’s Coaches again. Cole’s drivers undergo regular internal and external driver to ensure you have a safe and comfortable trip. Drivers also undergo regular First Aid Training should they need to provide assistance to a traveler. Internal driver meetings are held on a regular basis to ensure the service delivery meets traveler’s demands. 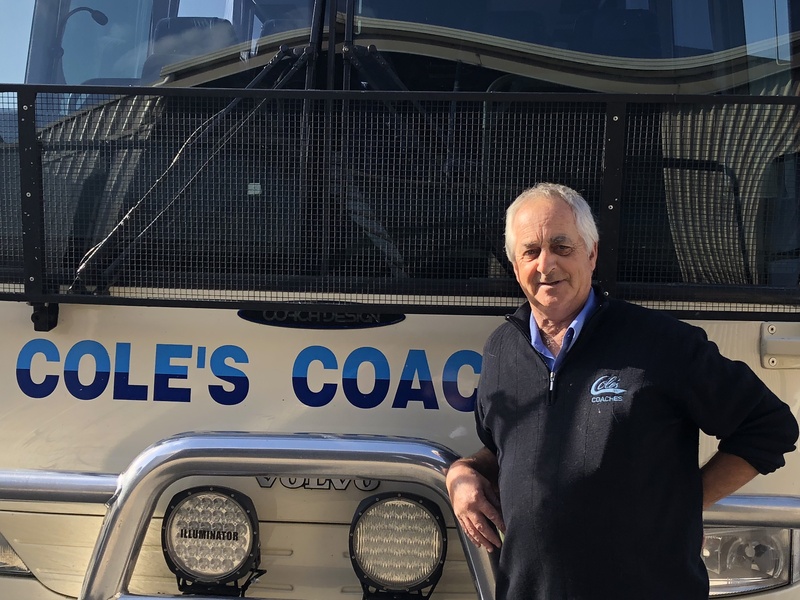 Steve Grindal has joined the team at Cole’s Coaches. Steve brings impressive and extensive coach driving experience having driven coaches for over 35 years. 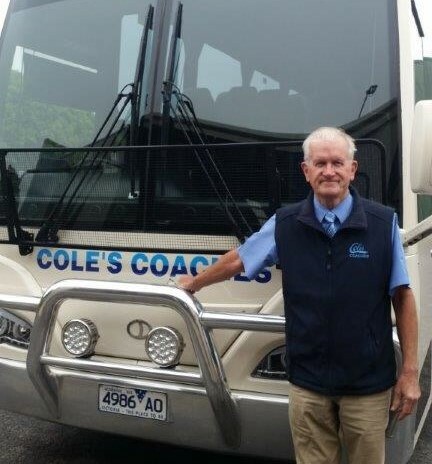 Steves has experience driving coaches around all parts of Australia, on camping charters and on 4WD tours. When he hasn’t been driving coaches, Steve has also worked on a cattle station in the Northern Territory. 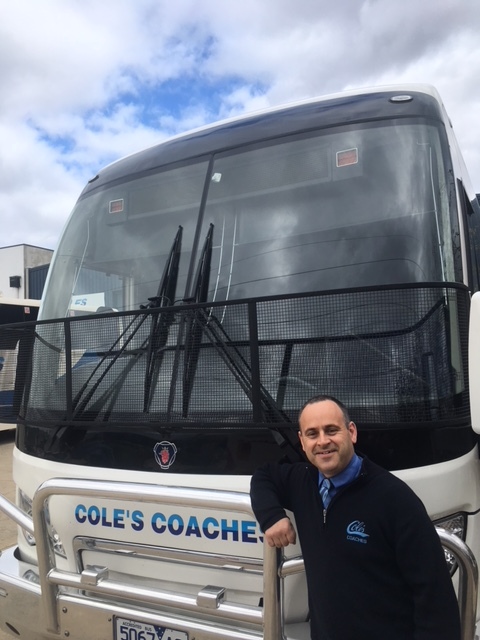 His hobbies include camping, travelling Australia and spending time with his family Steve will be driving on our charter jobs and extended tours. James Jonah is our newest member to join the Cole’s Coaches team. James is our loveable Welsh driver. He has worked extensively in the UK and throughout Europe driving coaches for touring rock bands. James and his Australian wife and children now call Warrnambool home. You can find James out and about on one of our school runs, charter jobs and extended tours. In his downtime James likes to spend time with his family, cooking, watching live music and comedy shows. Alan Moncrieff has worked for Cole’s Coaches for the last 8 years. Alan is one of our regular school bus drivers. You will also find him out about on school/group day trips plus Alan helps out on our extended tours such as the Rock to Reef as our tour cook/driver. In his own time Alan likes to spend time with his family and travelling. Alan travels to all parts of the globe including recent trips to India, Peru and the Easter Islands. Alan is also a keen fisherman and is very knowledgeable about where the best fishing spots are. Brendan Farley has worked for Cole’s Coaches for the last 8 years. 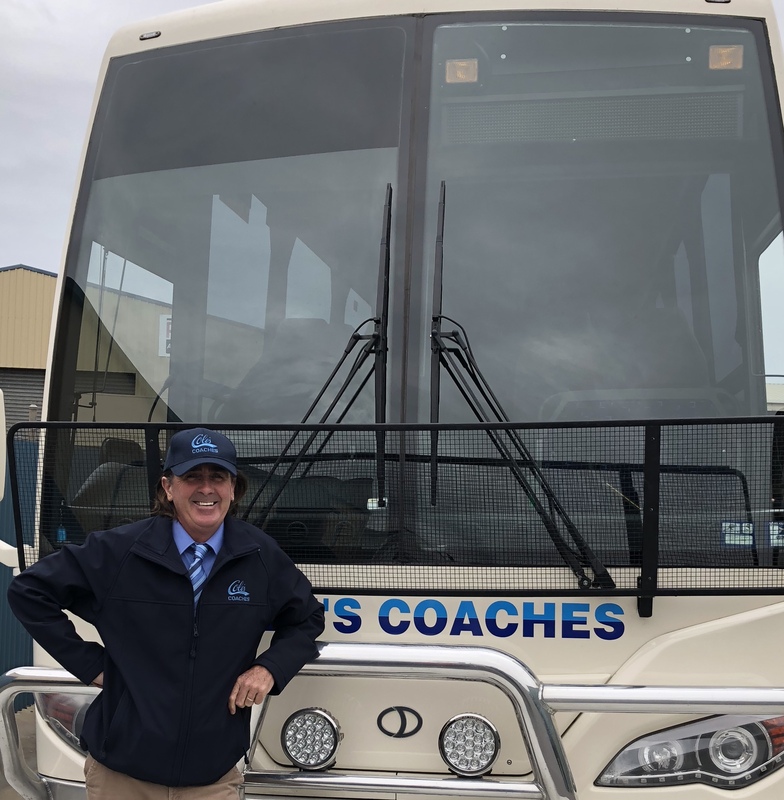 Brendan is one of our regular school bus drivers and you will also find Brendan out and about on school/group day trips and as a second driver on our extended School tours interstate to the Northern Territory, Queensland and Canberra. Brendan is easy going with a pleasant personality and is professional in his service delivery. In his downtime you can probably see Brendan catching a wave when he’s not spending time with his family. David Robe works at our Geelong office as Operations Manager and has worked for the company for 5 years. When David is not in the office you will find him out on a school run and or charter. He is also a coach captain on our School extended tours – Canberra and the Rock to Reef. In his downtime David plays golf and tries to barrack for the Collingwood Magpies. 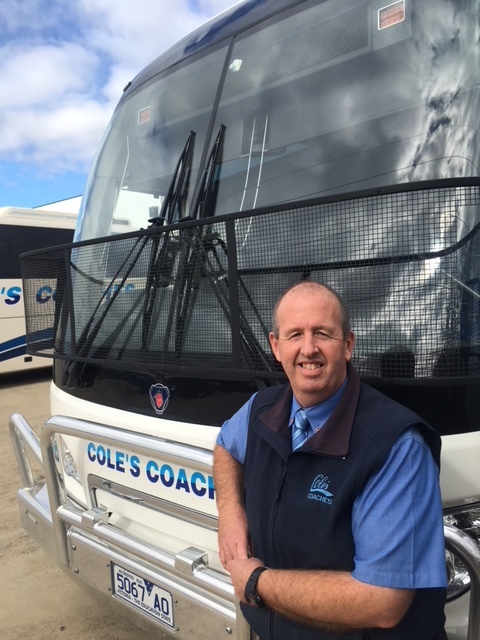 Andrew Woods has worked for Cole’s Coaches for the past 12 years and is located at our Geelong depot. Andrew is one of our regular school bus drivers. However he is mostly out and about with local school groups travelling to Melbourne and around Geelong. Andrew aims to please and offers great service to all types of groups. In his downtime Andrew is a bus nut and loves V8 Supercars.